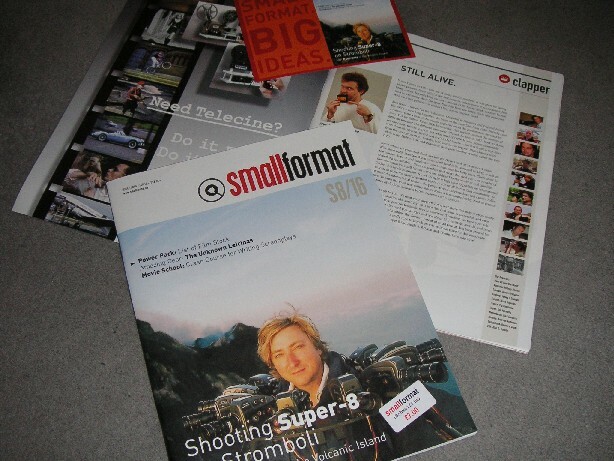 "Schmalfilm" the German parent of "Small Format" has been published for 57 years. Now the magazine gains an international title and is printed in English. The BFCC team were able to obtain copies from The Widescreen Centre, 48 Dorset Street, London W1H 3FH Tel: 44 (0)20 7935 2580 www.widescreen-centre.co.uk (where they have copies for sale over the counter) and we cannot recommend this publication highly enough. Currently the emphasis is on film making but in this first issue there is an article detailing some beautiful home cinemas with accompanying photographs in full colour. We wish the publishers every success. Current subscription rates at the time of writing are $79 or 69Euros for SIX issues. Very good value given what is on offer.